Tm 2.2CRDi Klass DK 4x2 Aut. Tm 2.2CRDi Klass SR 4x2 Aut. Tm 2.4 GDI Klass DK 4x4 Aut. Tm 2.4 GDI Klass SR 4x4 Aut. Tm 2.2CRDi Tecno DK 4x2 Aut. Tm 2.2CRDi Tecno DK 4x4 Aut. Tm 2.2CRDi Tecno SR 4x4 Aut. Tm 2.4 GDI Tecno DK 4x4 Aut. Tm 2.4 GDI Tecno SR 4x4 Aut. Tm 2.2CRDi Style 4x4 Aut. Tm 2.2CRDi Style Limited 4x4 Aut. 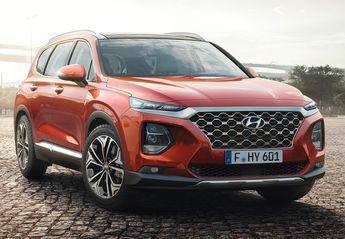 ¡Te asesoramos con las mejores ofertas para tu nuevo Hyundai Santa Fe!